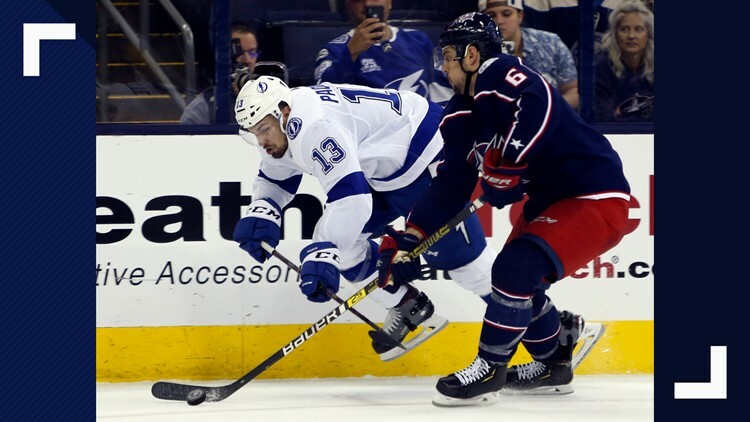 Tampa Bay Lightning's Cedric Paquette, left, to tries to skate past Columbus Blue Jackets' Adam Clendening during the third period of Game 4. A sports psychologist teaches his patients to focus less on perfection and winning and more on getting rid of their fear of losing. TAMPA, Fla. — How did it happen? The Tampa Bay Lightning, arguably the best team in the NHL, is out in the first round of the playoffs, swept in four games -- their longest losing streak of the season. “We’ve got this thing where everyone wants to be perfect, but when they fall short of that, then they basically doubt themselves and don’t feel like they’re going to be able to accomplish even the most minor goals,” said sports psychologist Dr. Steven Walker. He said the Lightning were surely under tremendous pressure after falling in their first three games of the series. In their efforts to keep their season alive, he suggests they shouldn’t have focused on winning but rather eliminating their fear of losing. It's advice even non-athletes can follow, whether at work, in school, or with personal goals. “Everything in life boils down to how do we manage our failures in order to grow,” said Walker. But it’s that fear of failure that can actually make success more difficult. For the Lightning, they’ll have the entire offseason to think about what went wrong, but hopefully will return stronger and more resilient when they return to the ice in October.